One of the things we are asked about most often is “what will the weather be like?”. This is a bit like asking how long is a piece of string – the weather here in Scotland is pretty unpredictable! 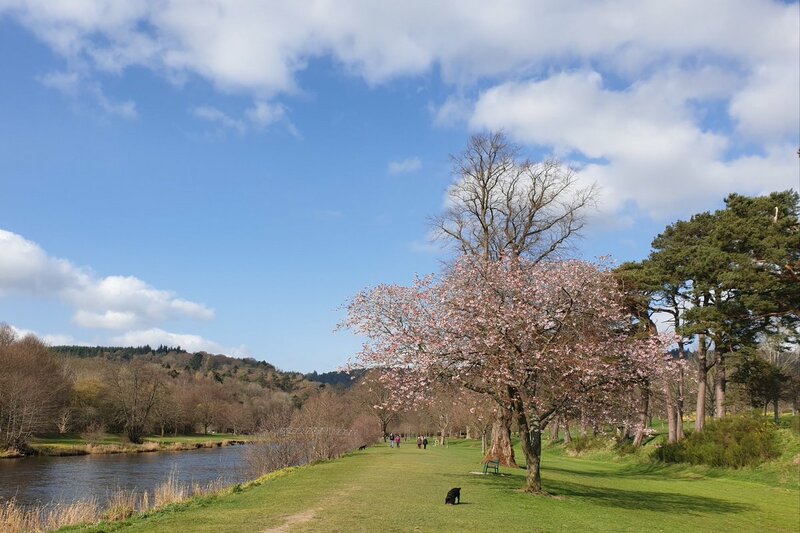 As I write this (March 2012) it is a glorious spring day; earlier in the week a new record high temperature for the month of March was set (23.6C / 74F in Aboyne, Aberdeenshire), the sun is shining and there is not a cloud in the sky. But the forecast for next week is sleet and snow! So the best advice we can give is come prepared: average summer temperatures are in the region of 14C-18C / 55F-65F but it can fluctuate and be higher or lower, so bring clothes you can layer. A waterproof and an umbrella wouldn’t go amiss either – although rainfall can vary greatly, with the east of Scotland being much drier than the west. The driest months are usually April and May. Winter temperatures average at 1C-6C / 33F-43F although it can get much colder than that at night, especially in mountainous areas. Snow is usually to be found on higher ground. For up to date Scottish weather forecasts please see the BBC website.